As the leading alternative fuel in the nation, there are many reasons to convert to propane gas. Whether saving you much-need money off of fuel cost or increasing the lifespan of your engine, the benefits of propane gas are staggering. When you are contemplating making the switch in North Texas, our Dallas TX propane experts at Northwest Propane can assist you, offering our superior service to meet all your propane needs and ensure your satisfaction. With propane fuel, you can save money off fuel costs, as compared to gasoline and diesel. By increasing your engine life, you can decrease on maintenance for your vehicle, saving you from countless trips to the mechanic for various services. Propane is also extremely environmentally-friendly, allowing you to rest easy knowing that fueling your fleet isn’t destroying the atmosphere. And with 90 percent of our propane produced in the United States, with 1/3 made in Texas, you will know that you are supporting your local economy and lessening our dependence on foreign oil. When considering a motor fuel conversion to propane gas, there are many factors to be considered. Our Dallas TX propane company can walk you through it, explaining the benefits of propane at every step. 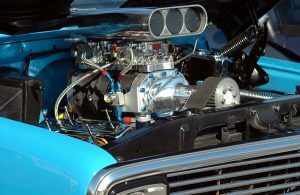 For additional information regarding motor fuel conversion in Dallas and the surrounding area, give us a call at 972-247-6121 or contact us online today.